Got through it in 48 hours. It may be 387 pages long (hardback, U.S. edition), but somehow it felt much shorter. Anthony Horowitz has pulled off something very cunning in this novel: He has made himself the main character. Yes, I mean the actual Anthony Horowitz, author of the immensely popular Alex Rider series for young adults, creator of the Foyle’s War series on Masterpiece Mystery, author of the delightful Magpie Murders, and plenty more. 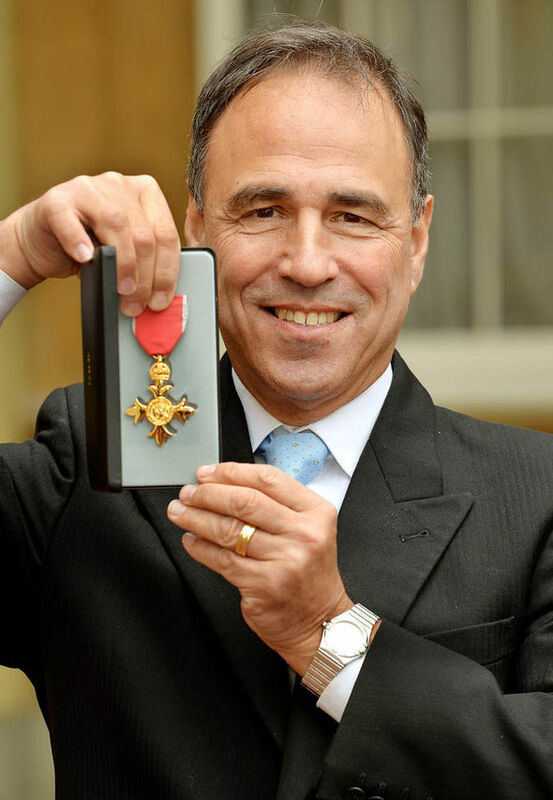 Oh – and by the way, it’s now Anthony Horowitz, OBE. The novel opens with a very odd chain of events. A woman, Diana Cowper, visits an undertaker with the purpose of planning her own funeral. That in itself is not so very unusual. What is unusual is that six hours later, she is found dead – unquestionably murdered (as Paula Zahn would say – with special emphasis – on her program On the Case) in her own home! One of the persons tasked with doing the detecting in this case is Daniel Hawthorne. Hawthorne is a former policeman, having left the force under a cloud. But his skills are such that he is retained by the force from time to time as a consulting detective. Hawthorne, not short of a certain egotistical self-regard, wants a book to be written about his exploits. He requires, therefore, a recorder equal to the task; an accomplished writer who will shadow him as he investigates but who will not intrude on the investigative process. 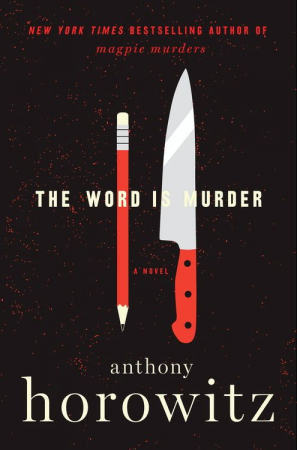 Who better than Anthony Horowitz? He it is that narrates the events of the novel in the first person. Sound like another pair you may have encountered in your reading of classic crime fiction? I assure you, that is not a coincidence. Poor Anthony, though: He cannot resist asking what he believes to be perceptive questions in the course of various interviews. Almost invariably, said questions are adjudged to be intrusive, or even detrimental to the proceedings by Daniel Hawthorne. This exasperates Hawthorne, but it exasperates Anthony even more. After all, he – Anthony – is accustomed to thinking himself superior in perceptiveness and intellect. Who does this Hawthorne person think he is, to be denigrating the Great Author in this way? He meant me. Agatha Christie is something of a hero of mine but I was still offended. In The Word Is Murder, you will not find lyrical description, lengthy expository passages, ruminations on the evils of mankind. What you will find is a plot that moves at breakneck speed, pulling the reader inescapably along. Observing me turning up in various places through the house, oblivious of all except the text before me, my husband commented that this must surely the ideal summer read. I agree. Great fun, and highly recommended, for any season, actually. I was as enamored as you, Roberta!